Now that the Galaxy S8 and S8+ are on store shelves, lots of folks are turning their attention to Samsung’s next Galaxy Note smartphone. And thanks to a new report, we may know a bit about what’ll make that device tick. Samsung will reveal the Galaxy Note 8 in late September, according to a VentureBeat source. The device will reportedly cost €999, which could put it at around $900 USD given the pricing for the GS8 and GS8+, and it’ll be available in blue, black, and gold color options. The Galaxy Note 8 is expected to have a 6.3-inch 18.5:9 Super AMOLED display, which means that it’ll have the same aspect ratio as the GS8 and GS8+ but a slightly bigger screen than the S8+. Also expected to be increased is the RAM, with the Note 8 allegedly getting 6GB compared to the S8’s 4GB. Also expected to be included with the Note 8 is a dual rear camera setup, which would be a first for Samsung. The Note 8 is expected to pack dual 12-megapixel rear cameras, and to the right of those cameras is said to be a fingerprint reader like on the S8, though the Note 8’s camera and fingerprint reader are said to be farther apart. 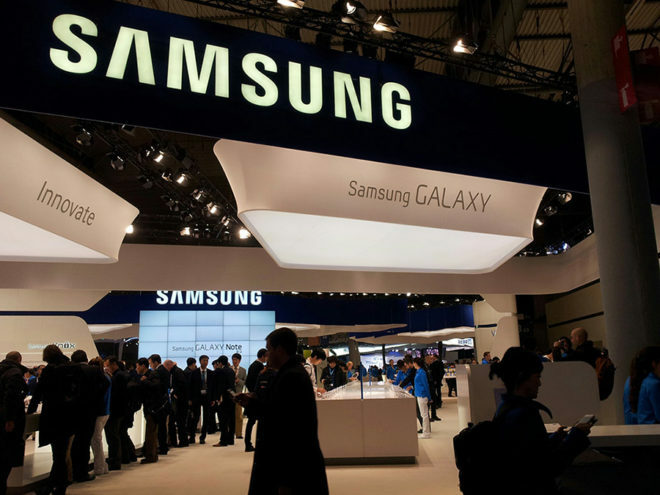 Samsung’s next Galaxy Note smartphone is also expected to include a Snapdragon 835 processor, 3300mAh battery, and support for the DeX dock that lets you connect a monitor, keyboard, and mouse to your phone. Samsung is expected to improve its split-screen multitasking feature and offer new S Pen features, too. With the launch of the Galaxy S8+ and its 6.2-inch display, Samsung needed something new to help make the Note 8 stand out in its lineup, and today’s report suggests that the company is going all out. With features like 6GB of RAM and Samsung’s first dual rear camera setup on a phone, the Note 8 would surely be one of the most high-end smartphones on the market, but folks that want to make it their daily driver should be prepared to pony up some dough to do so. Does today’s report have you excited for the Galaxy Note 8? Just because the SoC and cellular modem chipset support 600mhz band doesn’t mean every phone using that chipset will support 600 mhz. You still need the settings in the firmware, the right antenna’s amps/filters etc. Yes but my point still stands. QC confirming that support will be added to the cell modem for band 600 for the parts expected to be used in the Note 8 does not in anyway confirm that the Note 8 will support band 600. It confirms that Samsung could make the Note 8 support that band if that is the chipset they do use but not that they actually will. I’m not saying I don’t think it will support band 600 because I think it very likely will being one Samsung’s high end phones, when it will be released and T-Mobiles previous comments about Samsung phone having support for the band but the chipset supporting the band does not equal the phone supporting the band. It could just as easily be a mid tier samsung phone that gets band 600 support such as a J7 Prime successor or something else. It’s also quite possible that if support does come it will be in a T-Mobile specific model of the Note 8 and not be in the international or unlocked versions. The international model of the Note 8 will not have Snapdragon chipset…Samsung puts their own chip in the international versions and the J7 prime has never had the Snapdragon just the Exynos chipset. But ok you wanna argue my point that’s fine I just don’t see Nevelle Ray going public bragging about the Samsung J7 as their 600mhz compatible phone release. Not 100% sold if this has a fingerprint scanner on the back. Really going to depend on the placement. I like the fingerprint scanner on the back of the phones so much better. Whenever I pick up my wifes LG G5 it’s so easy and quick to unlock. The unlocked samsungs have been getting updates last, since the s6. Yeah just wait a bit longer, Oxygen OS is superior to touchwiz. All me Kim Young Un friend But honestly.. I don’t like the curve screen.. I honestly thought samsung would have kept the screen flat like the other Note phones.. I truly dislike the curve screen.. It’s a phone.. Not a LCD home TV.. I am with you… don’t care for the curved screen. the specs are very similar to OnePlus 5 except the screen is bigger, and price is 2 times higher. Wireless charging is a loose marketing term, it’s not true wireless charging. Ehhh, Samsung is op for a flawed placement of the fingerprint sensor… Sorry it seems rushed again… Still lags behind OnePlus dash charge technology which charges zero to 61% even while using the device without suffering from heatup, or performance issues. Samsung uses old rapid charging technology, I know it has not changed. My brother had the S6 now S7 and still dated for high demanding people. You charge it without connecting the device through a wire. Just set it on a base. No wires from device to base. That’s the very definition of “true wireless”. No wires=wireless… not sure what part of that is giving you trouble. You must be one of those “but the base is still connected” nutjobs. Using that logic then wifi, or your cell service, isnt really “wireless” either since at a start point there is a wired connection. And it’s a relatively old (aka cheap) tech that shouldnt be missing from high end phones not cut from a block of metal. As for dash charging, its proprietary tech. One that hasnt even been tested by real people, since the device isnt out yet. You talk about marketing terms then turn around and parrot the oneplus marketing team. You must be an apple or sony fan if you enjoy more expensive proprietary tech instead of universal standards. Speaking of standards, the SD835 DOES support qc 4.0. It’s not the tech, it’s a matter of software. The new tech in samsung more than supports qc 4.0. I use an HTC a9 that had qc 3.0 added through sw upgrade. There’s no real world change/advantage between qc 2.0 and 3.0. If you believe otherwise, then i have a bridge in Brooklyn to sell you. And no devices have support for qc 4.0 yet. The point of all this is that the note 8 is going to have about twice as many high end new tech features as the one5. Not just “a bigger screen” and comparing the two, and their pricing, is pretty ridiculous. I own the OnePlus 3 and tested several times (currently texting this response from device). Yes, the dash charge is as advertised, and yes, no heat up while using the device or performance issues. Samsung is not using the latest Qualcomm quick charge 4, unless it’s provided via firmware update I doubt it, and will still have heatup issues with performance lag. Samsung and oneplus 5 both use the same latest Qualcomm charging tech, since it comes with the sd835. The “tech” is in the cpu. Now answer as honestly as you can, do you have ANY idea what youre talking about? Because it seems youre googling skills are lacking..
Also, OnePlus 5 has 8gb of ram compared to Samsung S8 4gb of ram. You do work for the oneplus marketing team, dont you? Why dont you also mention that the oneplus never gets close to using that much ram because it will start closing apps at 4gb thanks to its battery management sw? And to even get to 4gb used on android, you need to have every social media app that exists, open, along with a couple of games. Real world, who does that? Theres a reason why iphones still only come with 2gb of ram. The iphone 7 plus only needs 3gb. Hell you’d have to get the 12″ ipad pro to get 4gb. Because normal people dont use their phones to multitask 12 separate apps… RAM is cheap. 8gb RAM is a useless marketing sell for cell phones that lack true high end features. Well my OnePlus 3T has topped out at 5.5GB ram usage when running 10 apps and a few games in the background. They relaxed the aggressive ram management because people complained. The more ram the better. If youre getting past 4, you havent upgraded the SW in a while or youre using a shady app to measure ram usage. The 3t is the reason why it’s topped out at 4, now, thanks to the battery management software. RAM usage was loosened with the upgrade that came with the one3 but tightened again thanks to the 3T. Also “10 apps and a few games in the background” got you past 5? Thats some terrible sw. The iphone 7, which only has 2gb, was tested with 19 apps opened before it started slowing and closing apps. Again, RAM is cheap. The reason big companies dont spend the extra $.25-.50 on it, is because it’s not needed. The reason why small companies like huawei and oneplus do, is because they need it as a marketing sell. First off I see my ram usage by actually going into the phone’s settings and not by using some “shady app”. You also have no idea how ios and android work by the way you describe how an iphone can have 19 apps open when it only has 2GB of ram. You can thank app devs that have highly optimized their apps on ios first by using swift as the only programming language ios apps are coded in today. While most android apps are coded in java and have often been poorly managed by the same devs that port their apps to android. That’s not to say that these apps don’t take full advantage of the ram and soc’s you find on most android phones and tablets. I say 10 apps mainly because these are open fully and not suspended by the system like ios does and I am running a ps1 emulator, nintendo 64 emulator, and asphalt 8. I use my phone to the fullest and I have never experienced any lag or dropped frames. Having more ram is not a gimmick. As i wrote in the post you just replied to, I own an HTC a9. You can write but cant read? That’s interesting… how does that work, exactly? Your response’s never mention a device that you currently use, please double check next time before responding. it’s in the comment you replied to. Unless there’s 2 “verizonthunder”s and 2 “chunk”s on here. Check your disqus maybe it’s messing up your replies, but they did mention they use an HTC. I have both a OP3 and an s8 and you cant even compare the OP3T with the s8. Comparing it to the note series is just as crazy as apple fans suggesting that apple maps is as good as google maps. The oneplus competes with the nexus and pixel lines. Both great but neither can compete with full blown flagships from samsung or apple. No shame in that, i never understood fanboys and their unwavering loyalty to brands. iPhone can run on 2Gb but lags with many apps open, I admit they are masters at coding the platform for less RAM, but more RAM does not just help with that scenario, more RAM helps poorly coded apps no impact your overall phone experience and also substantially help battery life since the greatest cost of battery consumption is app launch from the storage media and with more RAM those apps load from RAM. As for the comment on the 4Gb closing the apps not true 64bit OS does not do this while 32bit does and Android is now a 64bit OS. RAM is cheap regardless of which phone maker offers it the cost to add more is very tiny compared to adding more UFS 2.1 storage. The problem is a phone that ships with 4Gb of RAM always has 4Gb of RAM and can never be expanded. If the manufactures don’t want to bear the cost to manufacture phones with 4Gb of RAM they need to enable users to insert chips that will accommodate adding 4Gb more for a premium. This going down as the most mentally challenged quote of the century. Let’s hope it worth 1000 euros. OP5 specs arent even close to the same. Just more RAM. Everything else is less, except for the same CPU. They keep putting in smaller batteries..
That’s because newer CPU’S use less power duh. But the screens keep getting bigguer and the screen is the biggest battery hog on a smartphone! I wonder if the Note 8 will have the deals like Samsung did for the S8 and S8+. Since the note 8 will have the same cpu as my galaxy s8+ and smaller battery, Naw.. I would rather spend the money on a laptop than a phone. I use tmobile jump and might stop at this point . They require a down payment and to pay taxes up front. I end up paying alnost half in a 6 month span.. i might have to go with the one plus 5 at this point..
600mhz wont be deployed in my area (ne ohio) till fall 2019. By then its time for a new phone anyways. I was really looking forward to the Note 8, but if the rumored $1,100 turns out to be reality, I think I’ll wait for the BOGO deal. My next phone purchase will be the Nokia 6 at $229. Too many good phones out there for peanuts in comparison. I hope you’re right, and even though $850-$900 isn’t that much less it’s definitely more palatable. I think you went the wrong way on currency conversion (€999 = US$900?). One thousand euro at about 1.1 USD/EUR exchange rate is US$1100. Unless your are factoring a 20% VAT into the thousand euro price (which US customers don’t pay directly), in which case the US price may indeed be about $900 (plus local sales tax factored in separately). Makes sense that the Note 8 would be higher than $900 (extra camera, size, and RAM) since the T-Mobile S8+ is selling already selling at US$850 currently. I was looking forward to something special this year, as last year I didn’t buy the Note 7 because of the small battery, and this year looks worse…for this price, they need to put a decent size battery in there…I am opting out! Many people including me are eagerly waiting for the launch, but the pricing will be a huge factor. It is priced right it will be a huge hit in the market. 8Gb of RAM and 6.4″ inch screen are minimum requirements if they ship the Note on the same curved screen cause they are too skinny. 8Gb of RAM is a must for Samsung due to their terrible lag after many apps are installed on their phones. Samsung phones have always had this terrible lag and the only cure given their devs are not going to change the poor coding practices is more RAM. The Note 8 is ugly on the backside like most phones these days, since the finger print scanner is on the back in the most awkward position favoring left handed users the most. Big mistake in my opinion for Samsung to do foolish things in their design like this.